If you live in a home with a basement, you probably already know about the risk and danger of flooding. Basements are prone to flooding and this is why homes are fitted with certain types of equipment to help combat flooding. When the basement becomes flooded it can cause a huge amount of damage, which is why water management systems such as sump pumps and ejector pumps are so vital. While sump pumps are commonly found in homes around the United States, some basements also have a second pump. This is a pump that is similar in appearance to the sump pump and this confuses many people, as they are unsure what the second pump is for. Well, this second pump is generally located close to the washer dryer area and is known as an ejector pump. Despite the similarity in terms of appearance, their function as part of your home’s water management system does differ. These are small water pumps that are commonly found in homes across the country. There are two different variations when it comes to sump pumps. One is the pedestal style pump and the other a submersible one. The function of these pumps is to protect against flooding in your basement, which in turn can save you a whole heap of additional problems and issues. The function of the sump pump is to collect water from the ground, which could include water that comes from a natural source or water that has collected due to heavy rainfall. If this water is not collected – for instance if there are problems with your sump pump – it can cause a lot of damage in your basement and anything that you keep in there. In addition, it could lead to the accumulation of mildew or mold. These pumps have what is known as a sump basin, which is a tank that is installed under the floor of your basement. 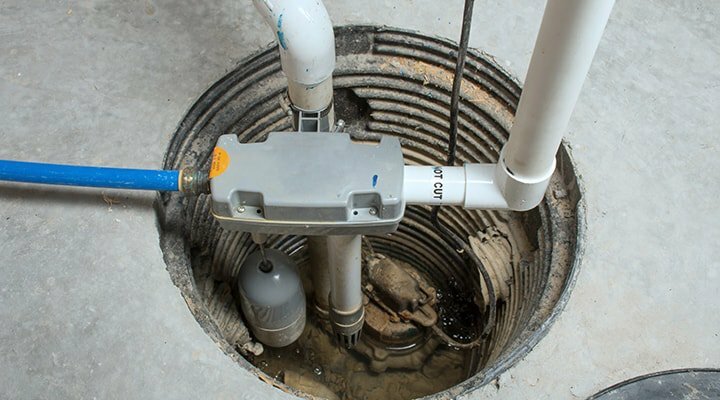 The actual sump pump connects to a drain tile system, which may be located inside or outside. The basin fills up with water that is collected through the drain tile and when it reaches a certain level, the sump pump jumps into action. At this point, the pump removed excess water from the tank and pushes it through a discharge pipe. The water is then discharged on the lawn, to a dry well, to a bubble pot, or to the municipal sewer system. Which of these the water goes to will depend on how the sump pump has been installed. Once the water level in the tank starts to go down, the float also goes down. This then automatically results in the pump switching itself off again. Given the importance of the function of these pumps, it is important that you ensure that your sump pump is properly installed as well as properly maintained. You should find a plumbing expert with specialist knowledge of waterproofing basements to carry out the installation. Once installed, the sump pump should last for a long time and does not require a lot of maintenance. You will find that some pumps also have a backup battery. This in case of power outages during heavy storms, when your basement is at increased risk of flooding. The backup battery means that your sump pump can continue to do its job even if the power goes down, so you won’t have to worry about a flooded basement. When it comes to waterproofing capabilities, the submersible ones offer the best protection although the pedestal style ones are easier to maintain. If you want to ensure that your sump pump lasts for as long as possible and works as effectively and efficiently as possible, you do need to have them properly maintained. Without regular maintenance, a number of common problems can occur and this can then increase the risk of flooding in your basement. Some of the problems that can affect sump pumps include a damaged switch, failure of the battery backup during a power outage, and the pump going on and off repeatedly. Regular maintenance can pick up on issues such as this and ensure that your sump pump doesn’t go down when you most need it. The second type of pump we mentioned above is the ejector pump, which is also an important part of the water management system in your home. As stated previously, these pumps can look very similar to the sump pump but has a different job to do in terms of preventing flooding in your basement. The ejector pump is generally found in homes that have finished basements, and they are able to deal with solid and liquid waste – this if often known as black water. This type of waste can put you at increased risk of health problems compared to the ground water collected by the sump pump. This is because it can be contaminated with all sorts including human waste. Because of these health risks, this type of water has to be cleaned very carefully otherwise it could prove hazardous in a number of ways. In a similar way to the sump pump, this type of pump also has a basin that goes under the floor of your basement. However, this is where the similarity ends. When it comes to the collection of water, the ejector pump collects waste water from the washer, basement sinks, floor drains, and bathrooms that are below grade. This pump also has a discharge pipe to get rid of waste but it is connected to a sewer line. If the ejector handles sewage as well, the basin lid should be sealed shut and there will be a vent pipe that allows the sewer gases to be evacuated. So, if you flush the toilet in the basement, use the sink, or use the washer in the basement, this pump is activated so that excess wastewater can be flushed. The pump also has a switch that will activate once solid waste collects to a certain level. This waste is then ground up by the ejector pump and flushed away into the sewage lines. As with sump pumps, these ejector pumps can have a range of issues that can affect their ability to work properly. Often known as sewage or sewage grinder pumps, you do not need to have them regularly maintained but you need to keep in mind that they can get clogged up quite easily due to solid objects that are large. Also, if they do not activate for any reason, this can cause a backup and can also cause the pump to clog up. If this happens, you could be at risk of some flooding in the basement. If this happens, you need to clean up with great care because of the risk of contamination from the black water that these pumps deal with. With ejector pumps, the power source is generally via an electric outlet, and there is no backup power system as there is with sump pumps. Some of the common issues that you may find with these pumps are that the pump does not activate for some reason or that it gets clogged up due to solid waste. You also need to remember that if there is a power outage, the pump cannot activate because there is no battery backup. Sump pumps are common in basements of homes across the country, and those with finished basements may also have a secondary ejector pump. However, what happens if you are renovating your property or building a new one? One of the things you will need to consider is whether you should install a sump pump or an ejector pump. In some cases, you may want to consider installing both of these types of pump when renovating or building a home. 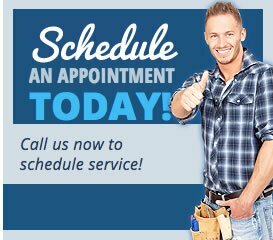 However, one thing you need to ensure is that they are properly installed by an experienced professional with expertise when it comes to basement waterproofing. Failure to do this could result in improper installation, which in turn could lead to the pumps not activating or working properly. You are then left open to the risk of a flooded basement and the subsequent damage that it can cause to other items or even to your health. If your property is located in a place where there are often heavy storms or even hurricanes, you will need to have a sump pump installed in the basement. If the area your property is in has a high water table or if the property has already suffered flooding in the past, a sump pump should be installed. In addition, this type of pump should be considered if the foundation of your property is at the foot of a hill because of the increased risk that this poses in terms of flooding. If you are considering the installation of an ejector pump, there are a few things to bear in mind with regards to whether it will benefit you. These pumps are ideal if you tend to use a lot of water such as for laundry. If you have a bathroom in your basement, you will also benefit from having an ejector pump installed. Also, the installation of one of these pumps can add extra protection to reduce the risk of flooding if you have a septic system in your home. The level of experience: The level of experience that the plumber has is important when it comes to this type of installation. You can determine this by looking into how long the company has been in business and how much of a focus has been on basement waterproofing. The costs involved: You should make sure you consider the costs involved to ensure you get a fair price for quality work. However, never compromise on the quality of work in a bid to save money as you could end up with poor quality workmanship that increases the changes of your basement flooding. Consumer reviews: It is also well worth looking at consumer reviews from other people who have used the company for similar projects. This will enable you to get a better idea when it comes to the quality and service to expect. By taking these steps into consideration, you can make a more informed decision with regards to the best person to carry out the installation.